The Resco Ergonomic Series Coarse Comb is American Made Ergonomic Comb that has been a staple for professional groomers since its inception. The lightweight aluminum case is designed to reduce fatigue and strain, while the rounded steel pins glide easily through the coat. The pins are pressed through a solid brass shank before being nickel-plated for pins that won't break or bend. 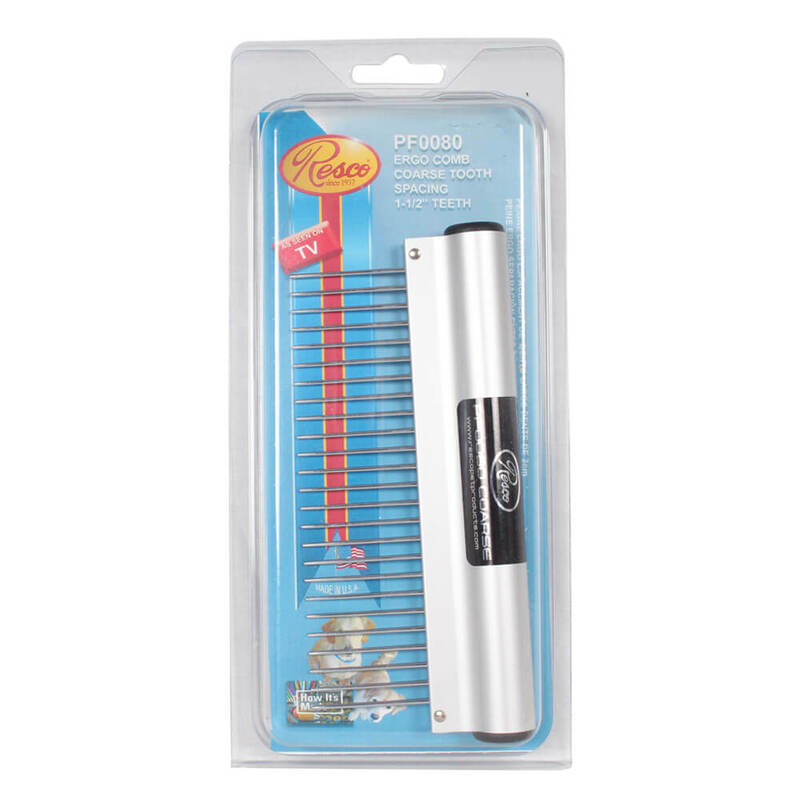 Pick up a Resco Ergonomic Comb today, you've never felt anything like it! It's lightweight, washable, feels great in the wrist, and is perfect for some of the top growing breeds including, but not limited to golden-doodles.